Unsanitary conditions and contaminated drinking water exact a crippling toll on both the health of the human population and the environment. In addition to the indignity suffered by those lacking sanitation facilities, millions of people in the developing world die each year from diseases contracted through direct and indirect contact with pathogenic Bactria found in human excreta. The cost of inadequate sanitation translates into significanteconomic, social, and environmental burdens. 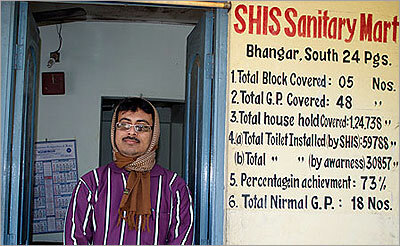 Thus, the initiative of SHIS in this project aims on affordable and easy access to safe sanitation for the poor and semi-poor families living at selected areas in South and North 24 Parganas District in West Bengal with the objective of constructing low cost sanitation units through sanitary two pit pour latrines with superstructures and appropriate variation to suit local conditions (area specific latrines) and construct new latrines where household have no latrines and follow the inhuman practice of defecating in the open in rural areas. This would improve overall sanitation in the villages. 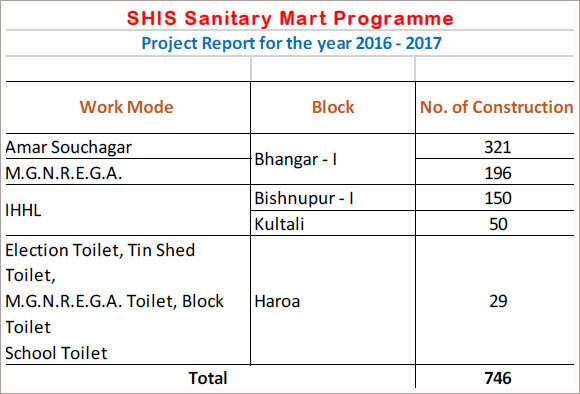 SHIS is currently implementing the project in collaboration with respective Gram Panchayats under Total Sanitation Campaign (TSC) along with Rotary Club of Calcutta Chowringhee for full sanitation coverage.